One of my regular customers asked me to make her a bag and an apron for her daughter for Christmas, the bag was for carrying books to and from work and the apron needed to be all cotton. I like making custom orders as long as I have enough time to give them proper attention, I hate rushing things because I usually mess up somewhere along the line. 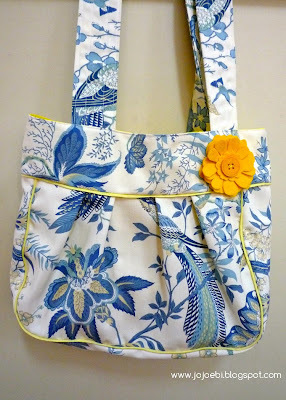 I based the bag on the pattern from Sew Liberated, The fabric is upholstery weight cotton and has a pretty (but not too girly) print of tropical flowers and birds in blues with a hint of yellow. 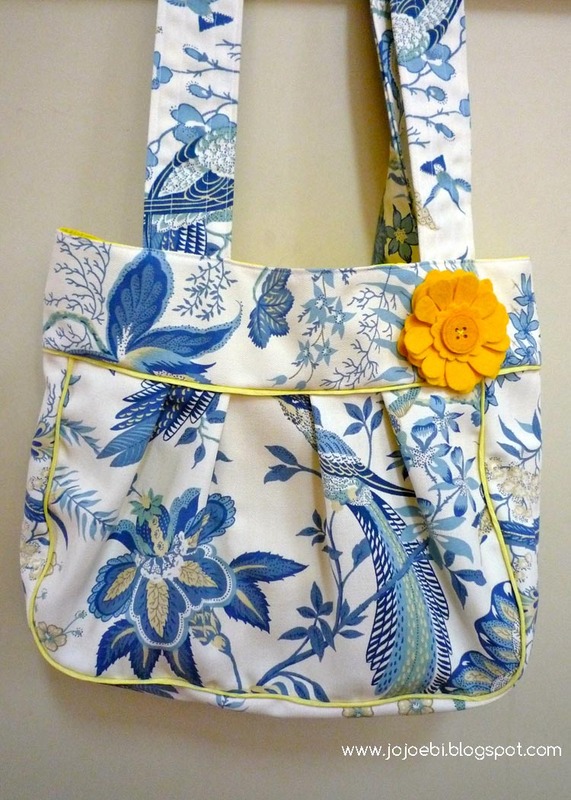 I used some nice cheery bright yellow to line it and make the piping and finished it off with a yellow flower brooch, I loved the finished bag, it was hard to pack it up especially as my everyday bag is on it's last legs! The other item was a Montessori style apron and apart from the condition that it was all cotton I could pick whichever fabric I liked. I LOVE this little hedgehog print and I had a couple of small pieces of the walk the dog fabric left, it was just the right size for a pocket. 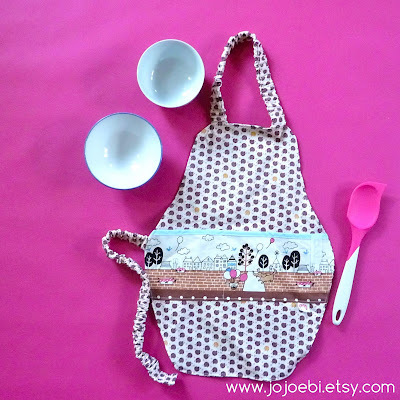 I actually made two of these aprons so the other is in the shop. My goal for this month is to get the shop restocked and finished off all those half done projects, I have a couple of patterns that I just didn't have time to finished before the holidays and several other projects that I need to finish, so I declare January to be the month to end all WIP's. Oooh I am coveting that bag too! Did you make the brooch?